"It's true. I am Dracula. But I'm not what you think I am!" Soma Cruz (来須 蒼真, Kurusu Sōma?) is the protagonist from the games Castlevania: Aria of Sorrow and Castlevania: Dawn of Sorrow. He also appears in the cross-over game Castlevania: Harmony of Despair. Soma has a wide range of powers and abilities called 'souls' which are categorized as offensive, defensive, or tactical. He acquires these abilities through his "power of dominance" - the power to control and summon the souls of defeated monsters. This is a derivation of Dracula's primary power, the ability to command monsters. Soma fights with a variety of weapons, including swords, spears, and axes. Many of his weapons are references to mythology and folklore, such as the Valmanway, Longinus, Excalibur, or Claimh Solais (even Death's Scythe). The whip sword is a reference to the Castlevania series' tradition of whips as primary weapons, but is the only weapon in Aria of Sorrow that resembles a whip. Soma can also use handguns, a Rocket Propelled Grenade, and a Positron Rifle, in an interesting (and futuristic) departure from other games in the Castlevania series. His first name, Soma, means the entire body, referencing how he has the power of dominance. His last name is somewhat of a pun, Cruz is the Spanish and Portuguese word for Cross, which is commonly used against Vampires in fiction. His Japanese name is Kurusu Sōma (来須蒼真); Sōma is his given name. The kanji that compose his name mean, in order, 'come/next' (kuru), 'by all means' (su), 'pale/blue' (sō), 'truth/reality' (ma). Taken together, the name hints that he is the true inheritor of Dracula's power, and will definitely receive them. The kanji for 'pale', interestingly, is also used as a euphemism for being inexperienced or unripe. Soma has not yet reached his full potential. Soma was studying in Japan in the year 2035, the year where the first solar eclipse of the twenty-first century was to occur, and he and Mina were on their way to see the astral event when fate stepped in: the two are transported into Dracula's castle itself. Immediately protective of Mina, Soma sets out into the castle to find an exit and save themselves from its demonic influence. Soma encounters various other individuals were drawn into the castle, and from them learns Dracula is indeed dead, but his castle seeks a new master. During the battle against the castle’s monsters he demonstrates an ability that he was not aware of possessing previously: the Power of Dominance, the ability to steal the souls of life forms and bend them to his will in various shapes and effects. This supernatural trait is a derivation of Dracula's primary power, the ability to command monsters. Soma soon encounters a deranged missionary named Graham Jones who believes himself to be the incarnation of Dracula, because of his birth at the very moment Dracula was ultimately slain in the battle of 1999. But Soma, in demonstrating the power to rule over souls, becomes Graham’s target, and the two engage in a battle which Soma eventually wins - but in doing so, he absorbs a startling amount of the castle’s dark power and comes to realize a shocking revelation: his powers and Dracula's soul are one and the same - Soma is the next incarnation of Dracula himself, and therefore may inherit Castlevania as its new lord and master. Soma then heeds the advice of Genya Arikado and travels to a chaotic realm where he must confront the core of Chaos, the source of Dracula’s dark power. As he hopes to escape from his bonds with the castle. Soma receives encouraging words telepathically from Mina and his other friends which he had encountered over the course of his adventure in the castle, and is therefore able to defeat Chaos, retain his identity, resist Dracula's inheritance, and escape with everyone from Castlevania as it is drawn back into the eclipse. In conquering this personal challenge, Soma becomes more open and trusting to those around him, though his mysterious powers still reside within. Soma from Dawn of Sorrow. One year after this event, Soma is attacked in Hakuba City by the mysterious Celia Fortner, the priestess of a cult dedicated to the revival of Dracula. Celia disappears with the grim proclamation that Soma will be eliminated by any means necessary, so that she may take his power and revive the Lord of Darkness. Arikado assures Soma that he and his subordinates will handle the situation, but Soma is not willing to sit behind; He tracks Celia to her headquarters, a massive replica of Dracula's Castle, and once more wields the power of dominance to battle the summoned demons within. Soma encounters Celia several times throughout his exploration, as well as two men, Dmitrii Blinov and Dario Bossi, who were born at the exact time of Dracula's 1999 destruction much like Graham Jones, and as such are candidates to receive the title and power of Dark Lord that Soma currently holds. Dmitrii and Dario attempt to kill him on separate occasions but are defeated, causing Celia to alter her strategy; she plans to draw out Dracula’s influence within Soma outward and mold him into the Dark Lord by playing on his emotions. Soma witnesses the apparent murder of a captive Mina by Celia, and his anger gives rise to the powers of Chaos (similar to when Lisa was killed, which triggers Dracula to engage a war against humanity). But Soma recovers, as Arikado appears and exposes him about Celia's plan. He then transfers his powers emerged from his anger to Mina, who is actually a Doppelgänger in disguise. Soma’s seismic shift of emotions then allows for the self-revival of Dmitrii, whose soul resided in Soma after he was first bested in battle by the former, and he and Celia leave with the declaration that they have gone back to their original plan to simply kill Soma so that Dmitrii can become the new Dark Lord. Soma pursues them to the castle’s Abyss, where he witnesses Dmitrii sacrificing Celia and absorbing the powers of a calamitous demon, and the two are about to do battle when Dmitrii’s soul is overcome and his body explodes into the titanic, monstrous demon Menace which Soma destroys at length after a large-scale battle. The dark power and souls of Menace suddenly rush into Soma’s body and nearly overwhelm him, once again causing him to come dangerously close to becoming the embodiment of the Dark Lord himself, but through sheer will and by thinking of Mina he resists the influence and escapes the collapsing castle of Celia’s cult, where he rejoins all his friends and allies. Soma relates to Arikado a certain feeling of guilt he holds for not accepting the role of the Dark Lord, the role that is theologically necessary to be fulfilled in order for God to be truly good, but Arikado assures that though there may be need of a Dark Lord to fill that purpose in the future, there is no reason why it should only be him. Having conquered his final challenge, Soma is free to live his life as it is normally meant. Soma, along with Mina, makes cameo appearances in the novel Akumajō Dracula: Kabuchi no Tsuisoukyoku, which takes place one year after Dawn of Sorrow. He is paid a visit by Death some time after he and Mina separated. Initially, Soma is restless but Death assures his intentions are not hostile toward him or Mina. Death asks Soma if he would assume his role as a Dark Lord, but Soma refuses, being comfortable with his current human life. Death then wonders if the current events are really Soma's doing, but Soma does not understand what Death means and demands answers. However, Death replies that since Soma isn't willing to be his master then he has no obligation to answer and departs. Unbeknownst to Soma, what Death had been referring to with his earlier remark was the return of Dracula's Castle despite Soma neither embracing his status as Dracula's incarnation nor was there even a replacement Dark Lord taking charge. Mathias Cronqvist (left) and Soma Cruz (right). When Aria of Sorrow was first released, news of the true nature of Soma Cruz spread. The idea of playing as Dracula, albeit in reincarnated form, was a big hit among the series fans along with Aria of Sorrow's solid gameplay. Some may note that Soma Cruz bears a striking resemblance to Mathias Cronqvist, the character from Castlevania: Lament of Innocence who is revealed to actually be the true identity of Dracula before his renunciation of God (and thus, his ascent into his role as the dark lord). Indeed, while Soma has more generally modern clothing, they share a similar fur collar around their cloak and coat respectively. Soma's trench coat is often depicted as being worn similarly to a cloak as well, such as the depiction in the picture below. This gives him an overall intimidating, almost modern lordly appearance. Also of note is that Mathias was dressed mostly in black, while Soma's coat and hair is the opposite, white. This could be further representation of the "Good Dracula" motif the character has been given in Aria of Sorrow. Their similarities may have been given a further nod in the boss fight against Soma, or rather, Dracula in Dawn of Sorrow's version of Julius Mode, where the room Soma was fought in featured a life-sized portrait of a man resembling, and most likely intended to be, Mathias. To a lesser extent, he also bore a slight resemblance to another reincarnation to Dracula, Malus, or rather, his adult form, in the non-canon game Castlevania 64/Legacy of Darkness, especially after defeating Graham Jones and being revealed to be the true reincarnation of Dracula. It is also worth noting that Dracula originally became the "Dark Lord" after his love, Elisabetha died, and later he swore vengeance on all of the human race when his new love, Lisa, was killed for being a witch. Similarly, in Dawn of Sorrow, Celia attempts to awaken the darkness in Soma's soul the same way by killing his childhood friend Mina. If the player does not have "Mina's Talisman" equipped, Soma succumbs to the same fate as Dracula, embracing the darkness in his soul to avenge a person dear to him. If Mina's talisman is equipped, however, the darkness within Soma is held at bay long enough for Genya Arikado to arrive. Arikado reveals that the "Mina" killed before Soma's eyes is actually a cleverly disguised doppelgänger. While Soma conquers the darkness in his soul at the time, it is possible that the actual death of Mina could still awaken the darkness within Soma, despite the power of the talisman. While nothing official has been stated about the design similarities, looking at Soma's storyline the connection may not be too far-fetched, as Soma could even be seen as sort of a second chance for Mathias. However, whether he is truly a continuation of Dracula in a new life, or a completely different person whom has just happened to have inherited Dracula's power is a subject of debate. In game there is ample evidence for both. Regardless however, details remain sketchy. Another possible bit of evidence to support this theory is that Soma's friend Mina Hakuba's name is obviously derived from that of Mina Harker. Mina is a main character from Bram Stoker's novel Dracula, whom the vampire seduced. In the 1992 movie version of the book, Bram Stoker's Dracula, Mina is also a reincarnation of Dracula's beloved Elisabetha/Lisa, who committed suicide thinking Dracula (then Vlad the Impaler) had died in battle. Since Mina and Soma seem to have affection for each other, this could be further irony coupled with the character. In the game plot-line, Matthias had also lost his love Elisabetha, which prompted him to become the vampiric Dracula. In artwork for Dawn of Sorrow, a purple stone can be seen hanging around Soma's neck. It is possible that this is the Crimson Stone, which Mathias Cronqvist had used to become a vampire. However, it is also possible that the stone is Mina's talisman, which has quite the opposite effect. One of the most notable links between Soma and Dracula, however, occurs Dawn of Sorrow, during the final battle with him in Julius Mode (which, like the same mode in Aria of Sorrow, puts the player in the role of Julius Belmont, this time fighting against Soma in a what-if scenario, wherein Soma did become the Lord of Darkness). After defeating his first, "human" form, Soma transforms into the exact same demon form Dracula took on in Castlevania: Rondo of Blood. Soma as himself is serious, but friendly and cares for the people around him, all the while having a strong sense of duty and being particularly protective of Mina, his potential love interest in the same way that Dracula was fairly protective of his targets of affection. However in the scenarios that Soma becomes the Dark Lord, his malevolent nature is far more accentuated than Dracula's. Whereas Dracula treated his benefactors and supporters with respect and reward, Soma has little care for them, as he coldly killed Celia right after awakening. Much on the same way another difference is noticed, whereas Dracula was vengeful towards those that harmed his beloved ones, Soma had little care for Celia "killing" Mina, and merely killed her because he found her "annoying". When faced in battle he angrily recites the name of his challengers and then starts laughing maniacally as he teleports. Like Dracula, he is also in this mode fond of drinking blood out of a wine glass. Outside of the similarities to Dracula's personality, Soma is occasionally somewhat innocent and bashful, as demonstrated in his reactions to Yoko and Hammer's strong hintings that he and Mina are in a relationship. He occasionally shares banter with Hammer about Yoko, and in Harmony of Despair appears more jovial. In Super Smash Bros. Ultimate, unlocking Soma Cruz's spirit requires leveling Dracula's spirit up to 99, further alluding to Soma being a reincarnation of Dracula. Power of Dominance: An unexpected sequence of events in Dracula's Castle caused Soma's dormant powers to be awaken with Dracula's primary ability, the power to rule over defeated monsters and demon's souls and to project them in a variety of forms according to their potential. These souls, from lowest to greatest will obey Soma and will support, protect and even fight alongside Soma to defeat his enemies. Though Soma dislikes and even fears this power, he will have to rely on it to brave the aberrations of Dracula's castle and live to tell about it. 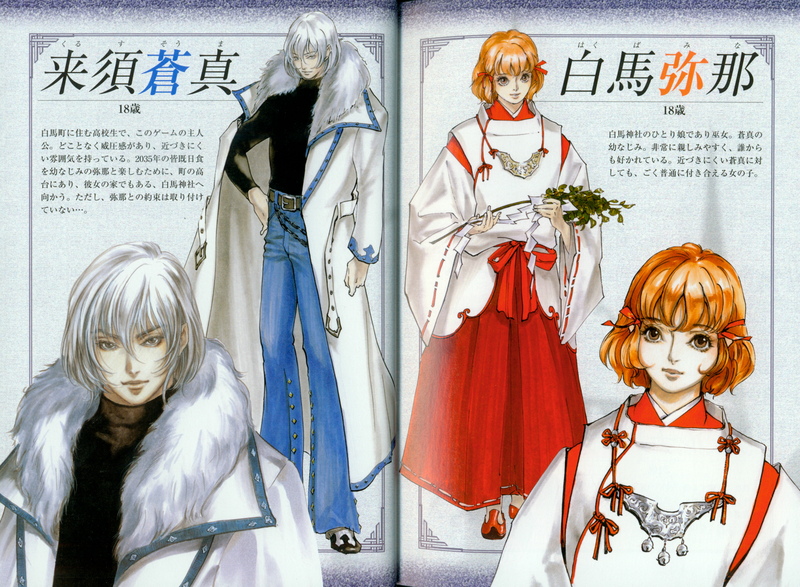 These souls can be projected in four different forms portrayed by their color (some souls in Dawn of Sorrow may come in different soul types from when they were encountered in Aria of Sorrow which could be argued is an effect of changing situations and having to find new ways to use those same souls). Red Bullet Souls: The offensive souls of the group, the Red Bullet souls are based on all out physical damage, elemental damage, status changing and sometimes a combination of most to crush enemy defenses. Bullet Souls essentially serve as Soma's version of the common "Sub-weapon" in the Castlevania series. These souls range from shooting rings of water, to lobbing grenades, to tossing out une seeds that grow into Unes. Blue Guardian Souls: The protective souls of the group, the Blue Guardian soul can enhance Soma's statistic potential, guards Soma from additional damage, transform Soma into them, or even fight alongside Soma for additional damage, at the cost of Mana. The Devil guardian soul, for example, causes all of Soma's stats to greatly rise, but it drains his health as long as it's active. Yellow Enchanted Souls: The supportive souls of the group, the Yellow Enchanted souls boosts Soma's status with no additional cost of Mana, though they may not boost Soma's status much, sometimes the help they give may be more than enough to decide between victory or failure in a fight. Some enchanted souls, such as the zombie soul in Aria of Sorrow, causes Soma to become far more powerful when he is afflicted by poison. A similar soul in Dawn of Sorrow, the Ghoul Soul, allows for Soma to eat spoiled or rotten foods, all of which would normally cause him to fall grievously ill, and restore his hp with it. Silver Ability Souls: The movement souls of the group, the Silver movement soul allows Soma to enhance his movement, such as a high jump, a double jump, underwater travel and breaking certain blocks. Soul Combo: Some Bullet and Guardian souls resonate with one another and they can allow Soma to cast Bullet Souls for free when the Guardian Soul is activated. Arms Mastery: Soma, though at 19, has mastered a variety of arms such as basic swords, spears, axe, melee punches and hammers as well as the first one to wield firearms ranging from handguns to heavy weapons. Some of the weapons can be upgraded to have divine properties. Arms Critical Attack: Soma can project his Mana through his weapon and gives the weapons special property of damage, such as speed, strength, length or distance and in some cases even releasing a weapons hidden powers such as the Gungner's ability to shoot a powerful lightning bolt in a similar fashion to the Item Crush ability that Vampire hunters are capable of using with their sub-weapons. Magic Seals: Soma mastered Magic Seals, used to counter demons that regenerate their lives through the Portal of Darkness. The Gates of Darkness cannot function without the seals, like a cover to a hole. However, complicated seals can be created to ensure the caster have difficult time sealing the Gate within the given time. Soma has mastered up to level five seals within the time he invaded Celia's castle. In an alternate ending it is shown that magic seals can also be used as a form of binding spell which allowed Soma to seal Dario's Dark lord powers. Soma's principal ability is the ability to occasionally steal the souls of vanquished enemies. He can later equip these souls for a variety of effects. Red Souls are his principal offensive souls (consume MP once per use), Blue Souls provide a temporary effect that can be turned on and off at will (drain MP while in effect), Yellow Souls offer a continuous effect at no cost (but there can only be one selected), and Silver souls are permanent ability enhancements that cost no MP (often activated with a key combination). He can use a variety of physical weapons, can equip one type of armor, and equip an accessory. The game features the same soul system as Castlevania: Aria of Sorrow, albeit with some enhancements. Soma can now collect up to nine souls of the same kind; having multiple souls will increase the power of their abilities in various increments, depending on the soul itself. He is also now able to perform a Super Attack with varying effects depending on the weapon equipped. His physical weapons can be evolved into more powerful weapons by going to Yoko's shop and having her combine them with one of his collected souls. The Doppelgänger soul can be found later in the game, which allows him to set up two completely different sets of equipment from his inventory and quickly swap between them. Soma is able to use Red Souls, Blue Souls, and Yellow Souls in this game, which are obtained from any slain enemy. He is able to equip two attack weapons (unless he has a two handed weapon selected), up to four Red Souls, a Blue Soul, and a Yellow Soul, as well as the standard defensive gear that any character can equip. In Castlevania: Dawn of Sorrow, if Soma gets the best ending or the bad ending (if he doesn't have Mina's Talisman equipped), Julius Mode is unlocked. Soma is fought as the final boss. Soma teleports around the room in this form, summoning great axes if you are close to him. A few seconds before/after he teleports, his Gaibon familiar will roar and charge at you. Holy Water is very effective against Soma. In his second form, Soma executes one of two attacks. 1: He jumps while sending out Larva under him and spitting an Aguni wave of fire. 2: He sends out Abaddon locusts. When he does the first attack, his Harpy familiar sends 3 feathers at you. Yoko's Blue Splash is very effective against Dracula. The origin of this form is Dracula's second form at the final stage of Castlevania: Rondo of Blood. By 2035, Soma Cruz is living at Hakuba-chō, a town on the Nagano prefecture in Japan. In Nintendo Power's pre-release coverage for Dawn of Sorrow, it mistakenly referred to Soma as "Sora Cruz". ↑ In the Japanese version for Aria of Sorrow, Soma was specifically indicated to have originated in Japan, while in the overseas versions, he was indicated to be a transfer student from outside Japan. ↑ NTT Pub Castlevania: Akatsuki no Minuet Official Guide.